Fair Trade. You may have seen the logo or the words printed on your favorite sweatshirt, on the towel you just used, maybe on a cup of coffee or on that amazing chocolate bar you just ate. You know it means good things, but do you really know what Fair Trade stands for? To put it simply, from production to purchase, Fair Trade is a model of sustainable, ethical practices that put people and planet first. When you buy something that is Fair Trade Certified, you’re doing something good for the planet and for the people producing the very thing you just bought. 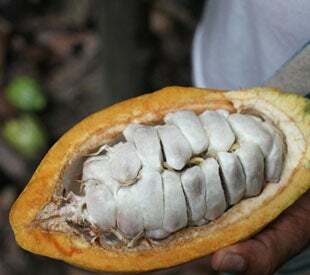 Back in the 1990’s, 90% of the cocoa used in the chocolate industry was produced on little, family managed farms. Most of those cacao growers had no idea where their cacao beans were going or how much they were actually worth. The low prices they were getting paid and the increased need for fertilizers lead to labor shortages which in turn lead to increased child and slave labor. Fair Trade Certification was created to overcome these problems. When you buy Fair Trade Certified chocolate, you are buying chocolate that supports dedicated efforts to improve the working conditions and quality of life for farmers and their families. For every Fair Trade Certified product sold, the business selling it pays an additional amount of money into a Community Development Fund, which goes directly back to the farmer group. From there, the farmer community decides together how to spend the funds to improve their lives and to meet their community’s unique social, economic, and environmental needs. Farmers use the money to help fund schools and clinics, build infrastructures, train workers, and bring safe drinking water to the community. The Fair Trade model promotes farmer organization, which can lead to the formation of cooperatives and associations. This can help farmer groups negotiate for better prices. For some Fair Trade products like cocoa, the Fair Trade model guarantees that farmers are paid a minimum price for their product. Usually farmers get 3.2% of the price of the final chocolate product, which sometimes comes out to just $0.50 per day. Fair Trade sets a minimum price that cocoa farmers must be paid per ton. 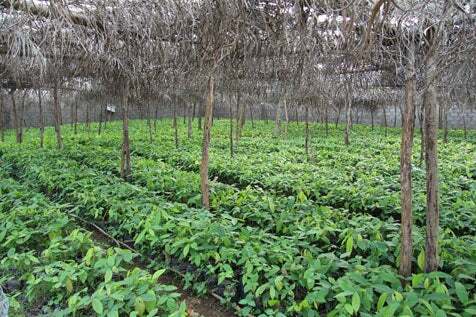 They either receive market price or the Fair Trade minimum, whichever is highest plus the above mentioned Community Development Fund or premium for conventional cocoa which is currently set at $200 per metric ton. Higher prices for farmers means less need for child labor. To encourage that trend, independent third parties conduct annual inspections to ensure that farms meet the child labor standards they have established. If infractions are found, the organization and farming community act immediately to rectify the situation. Instead of excluding farmers found with child laborers from the program, the farming group seeks to understand and address the underlying cause of the issue and to remedy it. If the issue is lack of access to schools, for example, Fair Trade farming groups can vote to build schools or provide scholarships. Cocoa prices took a big dip last year. Combine that with the fact that, having witnessed the struggles and economic hardship of their parents, young farmers are increasingly reticent to dedicate their lives to farming. Additional investment to farming communities through the payment of the Fair Trade Community Development Premiums and the Fair Trade Minimum Price can make farming more economically viable for a younger generation. 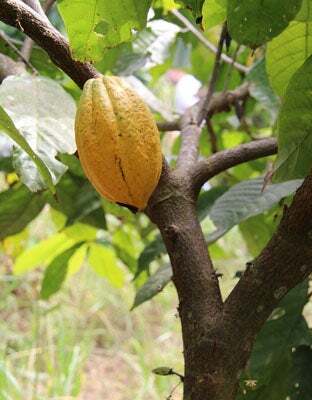 The Fair Trade organization promotes environmental sustainability in the production of cocoa crops and prohibits the use of GMOs and the most dangerous agro-chemicals. Monoculture farming can deplete soil nutrients, contribute to erosion, and contaminate water sources with pesticide runoff. The Fair Trade standard requires integrated pest management, soil erosion mitigation practices, and regulates the use of pesticides, all of which must be disposed of in non-hazardous ways. There’s a growing number of Fair Trade Certified chocolate makers. We invite you to support the ones like Vosges, Chuao and Lake Champlain who have already committed to embracing ethical and sustainable practices.